The New York Association on Independent Living (NYAIL) Open Doors Transition Center is focused on assisting people living in nursing homes and intermediate care facilities to receive individualized home and community based services. This includes providing people with objective information about services and supports that are available in their local community. NYAIL was selected by the Department of Health to coordinate the Open Doors Transition Center Project as part of State's Money Follows the Person (MFP) program. The Open Doors Transition Center assists people in nursing homes who wish to return to the community. The Transition Center is staffed by a Project Director, a Statewide Transition Specialist, two part-time Registered Nurses (RNs) and a Social Worker. NYAIL works with 9 Regional Lead ILCs and 14 Auxiliary Independent Living Centers (ILCs) -- see below for a list of these ILCs. These ILCs employ Transition Specialists (TS), who are familiar with the services available in the local community. These staff will meet with individuals residing in nursing homes and/or their family members. For individuals in nursing homes, the TS will identify what is needed for the person to return to the community and will assist in getting those needs met. For example, a common barrier to returning to community living is lack of housing. It is difficult for a resident in a nursing home to locate housing that meets their physical needs, and is affordable and available. The TS can search for housing via housing databases, as well as use their personal knowledge of local assets such as senior housing programs. If needed, the TS can then access environmental modification programs to ensure the home is accessible for the individual. The TS can also assist with accessing housing subsidies if the rent exceeds the individual's budget. Additionally, the TS can provide community preparedness education to ensure that individuals have the information/skills they will need immediately upon return to the community. The TS role and process is tailored to the specific needs and desires of each individual, and is designed to make the transition happen in the smoothest and quickest way possible. The Transition Center works closely with the Nursing Home Transition and Diversion (NHTD) and the Traumatic Brain Injury (TBI) Waivers to provide services that will support people in the community. The Open Doors Transition Center also works closely with the Office for People with Developmental Disabilities (OPWDD). OPWDD will be actively assisting individuals with developmental disabilities in moving from developmental centers (DCs), Intermediate Care Facilities (ICFs), and nursing homes into private homes, apartments, or community residential settings. Some individuals will move out of ICFs and DCs, while others may remain living in their current location, but will experience greater community integration as ICFs (which follow an institutional program model) convert to Individual Residential Alternatives (IRAs). Transition Specialists will meet with these individuals and/or their family members/advocates. The TS can assist with selecting a Medicaid Service Coordinator (MSC) who will best meet the individual's needs. The TS can assist and ensure that the individual has the skills and supports he/she needs to be ready for the community. The TS will also participate with the treatment team in creating a person-centered plan that promotes independence and meaningful community involvement. Open Doors Transition Center from NYAIL on Vimeo. In 2015, Milton Diaz Galarza was sent to a nursing home in New Jersey when his needs could no longer be met in the New York nursing home where he had resided since November 2014. He was only 53 years old at the time. While at Andover Subacute and Rehab in NJ, Milton received treatment and improved considerably. Milton is a New York resident and indicated that he wanted to return to New York City. As a result, Milton was referred to the Open Doors Transition Center in 2017. The Transition Specialist from Open Doors worked closely with the NJ Nursing Home staff to resolve barriers to fulfilling Milton’s wish to return to the community. Milton had long since lost his apartment and was unable to locate housing on his own. The NJ nursing home staff were willing to help Milton but needed assistance with the complex NYC systems. The Transition Specialist had to find a creative way to apply for services that required a New York address. 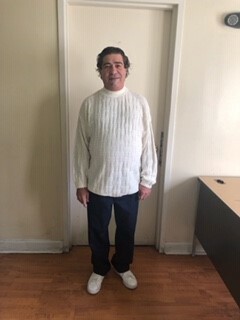 On November 5, 2018, Milton successfully transitioned into a supportive housing residence through Transitional Services for New York, Inc. (TSINY). Milton is now able to enjoy more freedom since he returned to the community. He has been enjoying getting to know the area and other individuals in his building. He is excited to start group programs where he will learn and further develop his independent skills such as cooking his own meals. Milton’s goal is to someday soon move into his own apartment.